A sangha is a local community of mindfulness practitioners who gather to meditate, to share their joys and difficulties, and to encourage each other on the path of practice. Meeting regularly with others to sit and share together is a precious way to cultivate our understanding and compassion and to re-establish our deep connection with others. 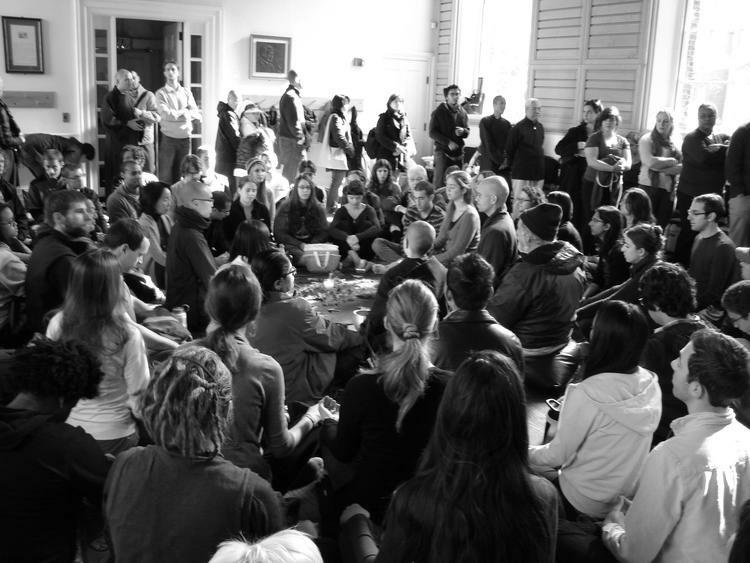 There are sanghas all over the world practicing in the tradition of Thich Nhat Hanh. We encourage you to search for a local practice community. If there is no sangha in your area, you may consider starting one! This can begin as simply as meeting with a few people in someone’s home. There, you might sit in meditation, read an excerpt from one of Thay’s (Thich Nhat Hanh’s) books, then share together about your experiences in the practice. For more information, see the New Sangha Handbook and our Start a Sangha page. If you are about 18 to 35 years of age, you may have particular interest in Wake Up, an active global community of young adult practitioners. If you would like to learn more about Thich Nhat Hanh’s tradition of mindfulness practice, you will surely enjoy his many books as well as The Mindfulness Bell, a journal of the art of mindful living.